The street muggers are out in force around Boystown this month - and every time the cops catch a bad guy, it seems like another criminal pops up. Two more robberies in Chicago’s LGBTQ stronghold on Tuesday bring October’s hold-up count to at least six. One of yesterday’s offenders is in custody. 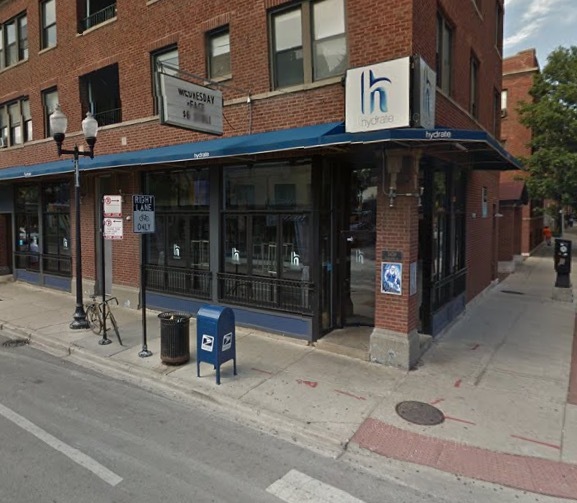 • A man sought help inside Hydrate Nightclub, 3458 North Halsted, after being mugged by two men nearby, police said. The offenders implied that they were armed as they took $80 from the man around 3:30 a.m. Both offenders are black men wearing black hoodies. One wore a white bandana over his face and the other wore a White Sox cap. • Police took at least one offender into custody after a woman was robbed of an iPhone on the Belmont CTA platform, 945 West Belmont, around 8 o’clock last night. Several witnesses and a CTA security officer reported the incident and police took a suspect into custody moments later in the 3200 block of North Wilton. Reports from a witness indicate that two suspects are in custody. CWB is working to confirm that detail. The next community policing meeting for Wrigleyville + Boystown will be held at 7 p.m. tonight at the 19th District police station, 850 West Addison.